As the number of regulations that affect Global 2000 organizations can easily exceed a dozen, many companies struggle to map multiple frameworks and specifications across configurations settings. This leads to cost-inefficiency, inaccuracies, and often audit fatigue. How do you address these challenges? 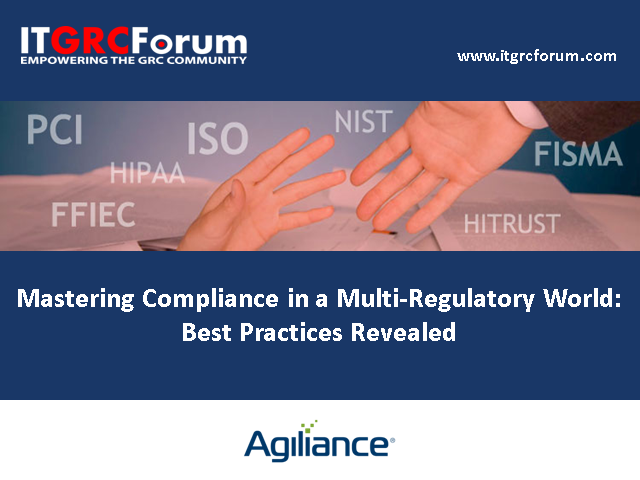 Join us for this webcast where we reveal best practices of managing compliance in today's multi-regulatory world.